“Our journey towards victory begun with a single pair of shoes." Mayor Richard Gomez stated after the victory. Young athletes of Ormoc City recently won the 2018 Eastern Visayas Regional Athletic Association (EVRAA) competitions. Sports is a major focus of Mayor Richard Gomez and his team and this recent success is very likely a reflection of the Mayor's dedication which has included shoe sponsorship programs and high level coaches. It's remarkable that these athletes became champions despite not having proper dedicated training facilities that could match the ambition of the athletes themselves. However, this is now going to change. After a year of designing several learning center prototypes for Ormoc City Government our collaboration is now evolving and solidifying. Resulting from discussions over the past month is not only additional financial support of our next three Learning Centers (huge news in itself) but also several new design commissions for Native Narrative. We now work on the redevelopment of Ormoc City's main sports facilities in Collaboration with the Ormoc City Engineering department. This includes the construction of: a new fencing training center / a covered basketball court, a grand stand and a Boxing Club. To the Mayor an Olympic Fencer himself this project means a lot and is of course also a huge honour for us to be involved in. 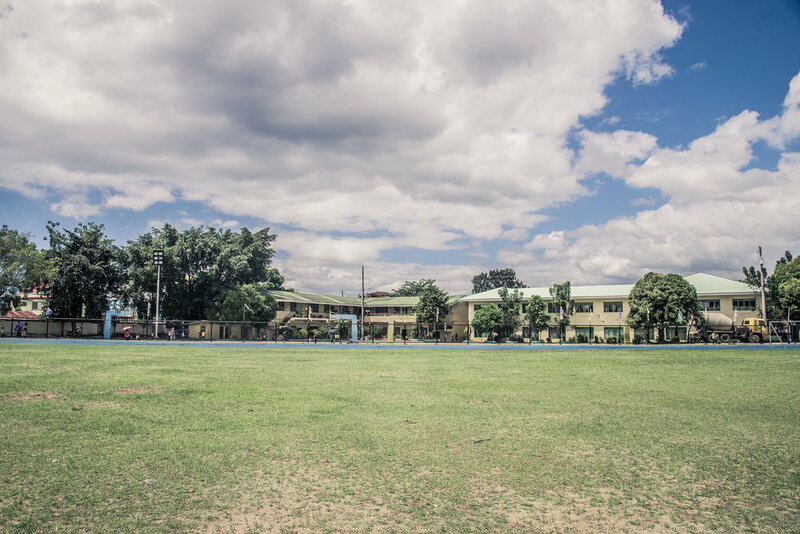 With construction starting on three Learning Centers in a few weeks and these new additional projects it's inevitable to feel positive and excited about the future of sports and education in Ormoc City. Ormoc City's current main sports facilities - Site for Ormoc's new Fencing Center, covered Basketball court as well as a new Grand Stand.